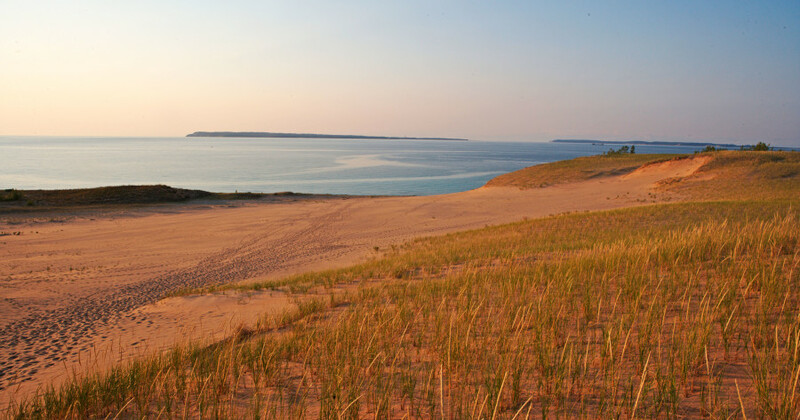 Happy 45th birthday, Sleeping Bear Dunes! Today in 1970, Sleeping Bear Dunes was designated a national park. In 2011, this iconic Northern Michigan attraction was named “The Most Beautiful Place in America” by ABC’s Good Morning America. And our very own MyNorth videographer Kris Riley got a view of it from 3,000 feet up in the sky! Add the National Lakeshore to your Northern Michigan fall color tour and celebrate its birthday with this MyNorth video! Here’s everything you need to plan your Sleeping Bear Dunes vacation.